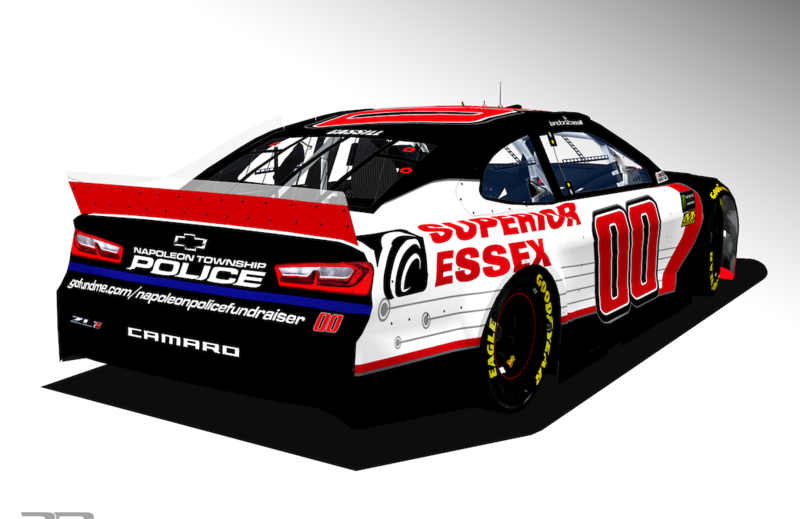 (SALISBURY, NC—4/3/2019)—StarCom Racing (SCR) and Superior Essex join forces to raise awareness for Napoleon, TWP Police Department (NTPD) of Michigan. The officers work with a very limited budget and often rely on donations from local organizations to help pay for basic supplies. Currently, the men and women of NTPD need upgraded body and in-car cameras to better protect themselves and the citizens of Napoleon.